The Selwyn Youth Council (SYC) consists of young people aged between 14- 24 who live in the Selwyn district and provide representation or a voice for the youth in their communities. SYC members meet monthly to assist and advise the Selwyn District Council on issues relating to youth and to increase the Council's understanding of young people's perspectives and needs. When necessary the SYC will present to Council the views of the district's youth on matters of council services, infrastructure and programs. Public forums are available 6:30pm-7:00pm with youth council meetings held 7:00pm-8:30pm. The Selwyn Youth Council has established a discretionary fund called the Selwyn Youth Event Fund. 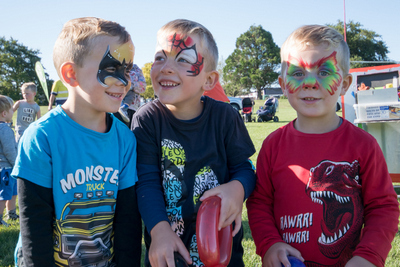 It is managed by the youth council, and funding is to provide support for groups or individuals whose events or activities contribute to the strengthening of youth wellbeing in Selwyn. At their monthly meeting, members of the youth council will assess the applications and distribute the funds as they see appropriate. Please carefully read the Selwyn Youth Event Fund Policy and Guidelines before completing your Application Form. The youth council's new Terms of Reference were ratified by the Selwyn District Council at their June 2017 meeting and updated July 2018.